Utrecht has always been a city at the centre of history dating right back to 50 A.D. when the Romans made their camp where the Domplein now stands. Rosie Khdir follows the Trajectum Lumen; a light art trail which highlights the city’s past and present. If you are looking for a way to go sightseeing that is a little more inspiring than your average tour bus or guided walk, you should check out Trajectum Lumen. This is a art trail that will show you the medieval wonders of Utrecht in a whole new light. From sunset until midnight, for seven days a week, visitors can see the most beautiful historic sites of Utrecht illuminated with breathtaking light artwork. The tour starts at the Vredenburg where students of the Utrecht School of the arts create a new dynamic interactive projection in front of the Apollo Hotel. It then passes onto the Neudeflat, the modern counterpart to the Dom Tower, then forward to the Ganzenmarkt Tunnel, a passageway to the quay that has been transformed by artist Erik Groen. Then you come to the Bridges on the famous waterways of the city, which have been highlighted by light architect Har Hollands, and then on to the beaming Utrecht City Hall. Other sights to behold include Jansskerk (Saint John’s Church), the Drift Vaults and the glowing waters of Kromme Nieuwegracht. But my favourite by far is the artwork on the Saint Willibrord’s Church titled Halo & Trompe-L’Oeil. This neo-gothic building has been dressed with a neon halo above the spire and on the inside, artist Titia Ex has lit it with beautiful, ecclesiastical imagery. For more information on the trail visit the Trajectum Lumen website. If you would like to follow this beautifully illuminated trail around the historic medieval city of Utrecht then P&O Ferries can get you there. You can travel on the Hull to Rotterdam overnight ferry service from £149 each way and from here it is just a short drive to Utrecht. Winter seems to officially be here now that we are feeling the cold snap of weather across Britain, and daydreams of gliding down glistening slopes are entering our minds. 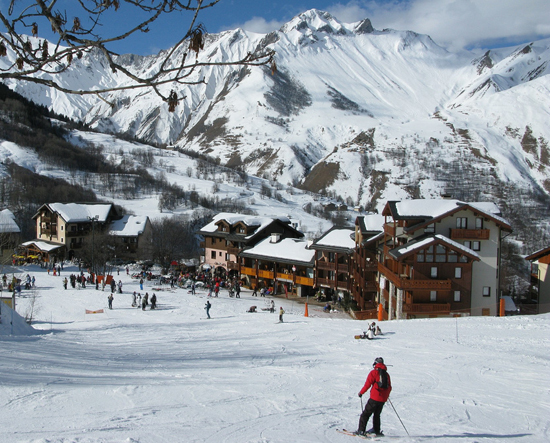 Rosie Khdirlooks at some of the best skiing destinations in France. This French resort is located in the Haute-Savoie region, close to Geneva and the Mont-Blanc. The Grand Massif ski area is one of the largest in the French Alps and boasts 141 carefully maintained runs; that’s a total of 265km of crisp, sleek snow! The concrete historically listed buildings on the resort were designed by famous architect Marcel Breuer and are the perfect example of urban architecture. But if you are looking for a more classic log cabin or chalet there are some very pretty outlying villages such as Les Carroz or Samoëns, that you can stay in. Filled with cosy chalets and a variety of hotel accommodation, Val d’Isère near Chambéry, is an inspired choice of destination for your winter holidays. This French resort boasts some of the best skiing in the world with 300km of slopes and is even where famous skiing champion Jean-Claude Killy learnt to ski. For the more adventurous of you, the Val has a fantastic off-piste area too! Val d’Isère is open from November 27th 2010 to May 1st 2011. This French resort is a bit of secret gem in the fact that not many Brits know about it. La Clusaz is also set in pretty countryside nestled in the Aravis Mountains which are softer and smaller than the Mont Blanc massif. This is an ideal resort for intermediate skiers. Chamonix is a favourite for many fanatical skiers thanks to its location near the Dru, the Frendo Spur and the massive slopes on the south side of Mont Blanc. It is the oldest ski resort in France and has six separate ski areas for all levels of skiers, from beginners to alpine pros. This resort should be opened, weather permitting, by the end of November, but check the official website for details. P&O Ferries offers skiers a convenient and stress free way of getting to France. For just £30 for a car and up to nine people and as much luggage, skis and snowboards you can fit, P&O Ferries is a sure winner this winter season. What could be better than speeding along the picturesque Normandy countryside with the wind wiping at your ears? 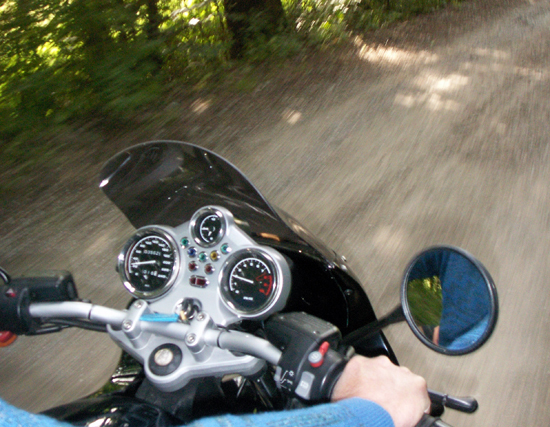 Well, you can now experience this for yourself thanks to an association of enthusiasts “Normandie Motorcyclisme” who restore old motorbikes and rent them out to tourists. This is a holiday for those of you who want a bit of an adrenaline rush with your pretty views and tasty French delicacies. You will begin by meeting members of this association who will help you choose a suitable bike and recommend a few itineraries. Once you are set, you will head off onto the open road, whizzing along country roads and taking in the fresh air and beautiful surroundings without the obstruction of a car/coach window. 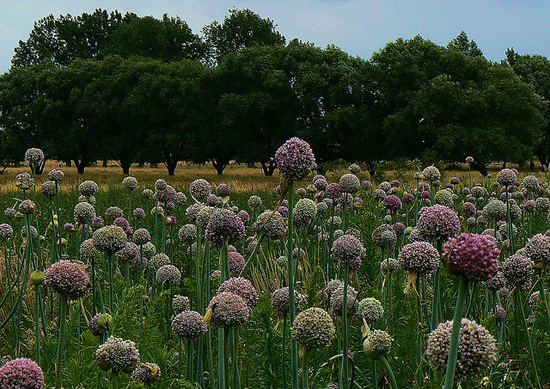 Along the way you can stop at local inns and hotels and savour the gastronomic delights from local farms. After you stop for the night make sure you try the local Calvados, cider and beers – the perfect refreshment after a day on the road. The Association are happy to make prior reservations for you to help your trip run as smoothly as possible. These trips runs from Friday to Sunday only and for prices and more information visit normandiemotorcyclisme.com. P&O Ferries can help you start your journey with our Dover to Calais service from just £30 for a car and up to nine people. This week people all over Europe will be commemorating the lives of lost soldiers from the First World War right up until the modern wars of today. 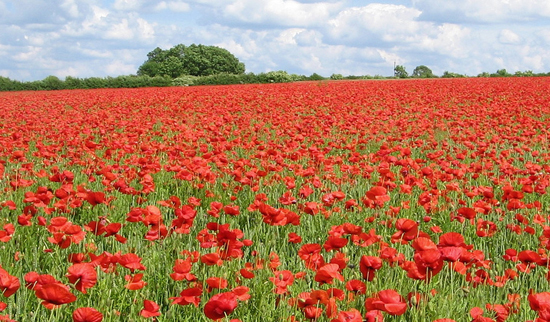 Rosie Khdir explores some of the best places to remember our brave soldiers. If you want to go and discover the history behind two of the world’s most famous wars during this remembrance period then there is no place for it like northern France. This year marks the 92nd anniversary of the end of World War One and all its history is waiting to be discovered. Here you can experience a trip back in time and follow the 40 mile route of the Battle of the Somme, from Albert to Péronne. You can either download an MP3 guide which allows you the explore 12 stages of the Circuit of Remembrance or take a tour with an English speaking guide who will share their comprehensive knowledge of the Somme with you. Visitors can also walk around the many Memorials that stand to honour the fallen. The Somme Memorial was erected in 1932 by the British. It is dedicated to the 75,085 British and South African soldiers missing in action between July 1915 and March 1918 and who have no known grave. The Australian Memorial is an impressive construction in Villers-Bretonneux, with a tall white tower and two ejecting walls display the names of the missing Australian soldiers who have no known grave. There are many more military cemeteries that show just how colossal this war was; from the French to the German to the Commonwealth graves, you can see just why these were named the World Wars. There are also a number of museums that tell the stories of the wars, such as the Museum of the Great War in Péronne and the Franco-Australian Museum near Villers-Bretonneux. You can also walk the wild beaches of Normandy were the famed D-Day landings of World War II took place. There is so much for you to discover about the war and so many places that are perfect for commemorating our brave soldiers and they are all just a P&O Ferries ride a way. The P&O Ferries Dover to Calais service starts from just £30 for a car and up to nine people. The Flemish coast is a wonderful secret to many tourists, but here we will enlighten you. There are hundreds of beautiful walking routes in Flanders along the 67km of coastline, all offering visitors stunning views and plenty of attractions. If you are not an experienced hiker, there are gentle routes that you can take. The flat coastal areas are ideal for beginners, or for those who simply want an easy stroll. The agricultural hinterland is scattered with quaint little villages, canals and rivers and you can stop for a break at one of the many cosy restaurants and cafes on route. If you would like to take an exhilarating walk on the beach there is a beautiful stretch from the Westhoek coastal reserve in De Panne to the Zwin Nature Reserve in Knokke. Alternatively, if you would like a challenge, then Flanders can cater for that too. The Flemish Ardennes’ rolling hills and breathtaking countryside make for an invigorating trek. The famed Green belt around Brussels is strewn with classical Belgian castles and a fair few breweries to boot – perfect for a well deserved refreshment after a long hike. An area well-known for its gastronomy is the old Scheldt basin – it is the perfect place to enjoy both exercise and gastronomic delights! Kampenhoutse Heide is also a very beautiful sight during the autumn months. P&O Ferries offers an overnight service from Hull to Zeebrugge. Or you can take the Dover to Calais crossing starting from just £30 for a car and up to nine people; from Calais it is just a few hours’ drive to Brussels. In the run up to Christmas there is nothing better than a visit to a magical city like Maastricht. Rosie Khdir discovers the charming wonders the city has to hold this winter season. From Friday 3 December 2010 to Sunday 2 January 2011 the city of Maastricht will evolve into a place filled with Christmas cheer. The streets are lit with fairy lights and squares are lined with the famous Christmas market stalls, providing visitors with a truly festive welcome. 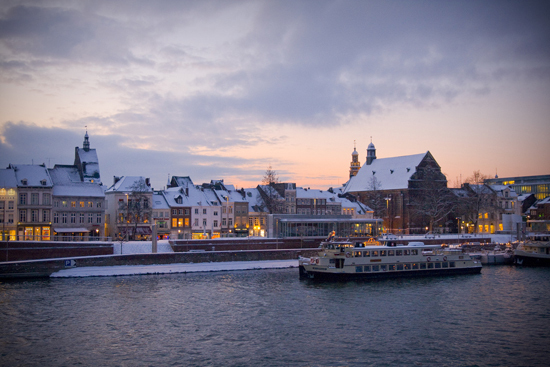 There is a wide range of events taking place in Maastricht from ice skating in Vrijthof Square on the 1,000 m2 skating rink, to a variety of Christmas theatrical productions. Music lovers can enjoy concerts by such performers as the Limburg Symphony Orchestra, Mastreechter Staar, and the Amati Ensemble. There are activities for people of all ages from the “Kids’ Christmas Paradise” on the Kesselskade to the special four X-Maastricht Shopping Nights. Other festive delights include SnowWorld Landgraaf, where you are guaranteed to have a white Christmas, the romantic ZLSM Christmas Express and the Christmas markets in Valkenburg and Aachen. If you need some time to relax after all your shopping then visit the wonderful Thermae 2000. Maastricht at Christmas is filled with gastronomic secrets, beautiful buildings and there is plenty to do for all the family. If you would like to visit this magical Dutch city in the Christmas season then P&O Ferries can help you on your way. You can travel on the Hull to Rotterdam overnight ferry service from £149 each way.